A call for papers has been issued for CompIC ME in Dubai, UAE. 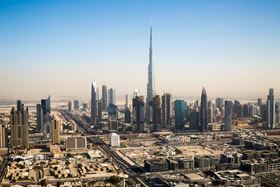 A call for papers has been issued for CompIC ME, taking place from 14-15 February 2018 in Dubai, USAE. The closing date for abstracts is 29th September 2017 and applicants should submit a 250 word abstract to info@netcomposites.com. This story is reprinted from material from CompIC ME, with editorial changes made by Materials Today. The views expressed in this article do not necessarily represent those of Elsevier.